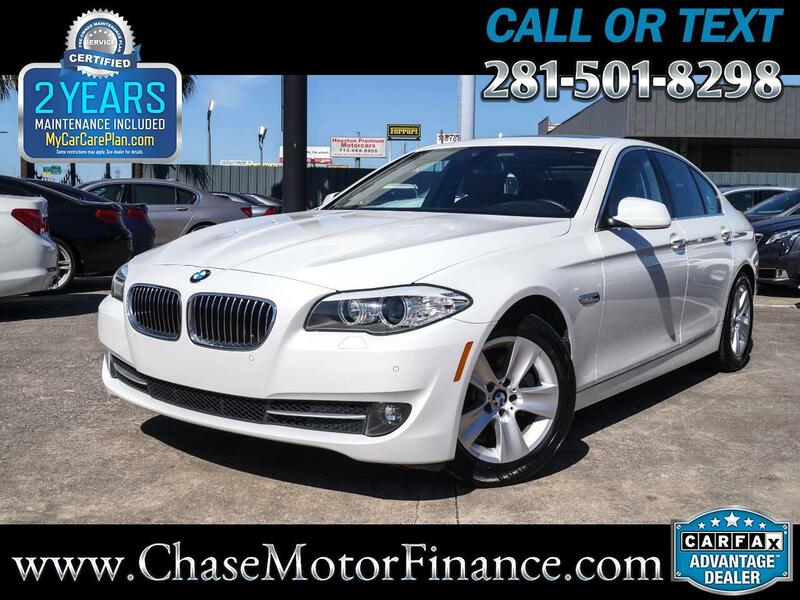 Chase motor Finance is pleased to present this, STUNNING 2011 BMW 528i ! This 5 Series is a non-smoker and pet free! Finished in Alpine white Exterior and cinnamon brown with Dakota Leather interior, this vehicle has been kept in excellent condition inside and out! The interior cabin has been kept spotless and the metallic finish shines bright in the sun! Options Include: Navigation, Sunroof, Rear view camera, Comfort access, Xenon Headlights, Leather, Power Seats, CD Player, Power seat, Am/Fm/ Bluetooth, Power Locks, Power Windows, Power Mirrors, Fog Lamps, auto folding mirrors, Keyless Entry, Dual air-condition, auto climate control, Traction Control, homelink, and More! Our mechanics have thoroughly inspected this BMW and have found no mechanical issues! The drive is excellent, no shakes or pulls. The 3.0L engine is responsive and the automatic transmission shifts smoothly into gears! Feel free to contact us should you have further questions.